When I was growing up, slip, slop and slap were just three little words. The sun safe message didn’t exist. We just played in the sun without a care. Thankfully we now understand how important it is to be safe in the sun. Going to the beach, playing in the pool, running around in the park, these are all the very best parts of an Australian summer. 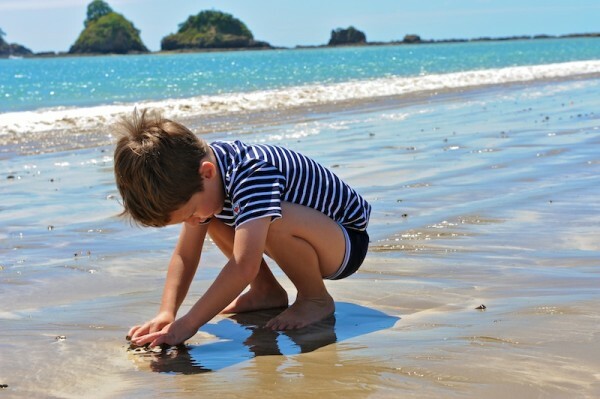 It is such a shame that we have to be so mindful of the sun, but thank goodness we have discovered the benefits of sun safety for our children. 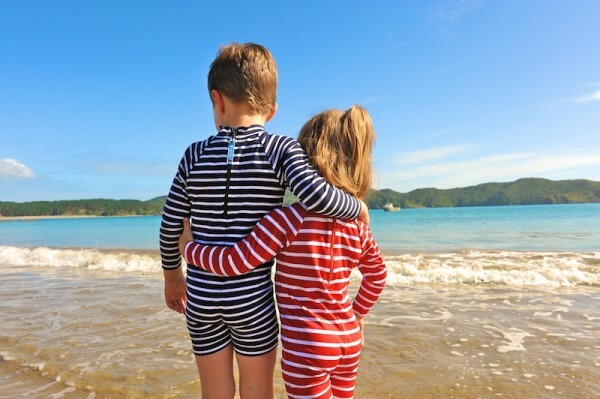 Choosing a sun-safe swimsuit is such an easy solution and with the fun, stylish swimsuits from Little Red Fish you can be sure your kids’ swimwear has built-in UV protection. 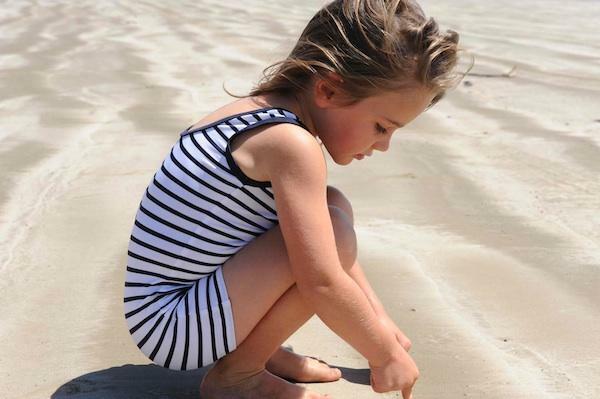 These gorgeous swimsuits are made using super soft high-tech fabrics, so as well as being sun-safe they are quick-drying with great chlorine resistance. No more saggy, baggy bottoms! Next summer is looking great for my little boy, he’ll love running into the surf in the navy striped Full Suit ($86.95). It has a firm fit and comes with a back zipper so he’ll get used to the wetsuit style for when he joins Little Nippers! The sun protection swimsuits, swim shorts and swim shirts are made in New Zealand and come in sizes 0 to 10. Little Red Fish is available in Australia from Kido Store.